A major issue faced by many people is the challenge of how to block DHT and regrow hair naturally. Hair loss can be downright disheartening, surprising, and frustrating. Nevertheless, this shouldn’t give you stress because, with the right treatment, you can stop hair loss while re-growing your hair naturally again. Regrettably, DHT kills the hair follicles as it shrinks them to become unhealthy. Because of this, you will need to learn how to block DHT and regrow hair naturally. Alternatively, you could also use some of the best DHT blocker shampoos in order to protect your scalp, if you choose to go with shampoos or any other artificial preparation. For those with androgenetic alopecia, they have a problem with DHT. Hair loss can be classified into three main categories – environmental, nutritional deficiencies, and hereditary hair loss. The environmental factors that contribute to hair loss include water, humidity, air conditioning, and direct sunlight. The nutritional deficiencies factors include collagen deficiency, vitamin C deficiency, and trace minerals deficiency. Finally, the hereditary factor includes dihydrotestosterone (DHT). DHT is known to contribute to pattern baldness in both male and female because it causes increased hair fall, make them shrink, and binds to the scalp follicle receptors. One of the most vital aspects of the hair follicle essential for healthy growth of the hair is papilla or dermal papilla. It is embedded in the scalp and directly draws critical nutrient needed for the growth of the hair follicle. Dermal papilla cell is responsible for the reproduction of hair follicles and initiates the formation of new hair follicles. Proper functioning of papilla helps in the growth and maintenance of strong, healthy, and nourished locks. Nevertheless, dermal papilla contains large amounts of androgen receptors, which combines with DHT and stops the proper absorption of essential nutrients required for the growth of the hair follicles. To block DHT, some medicinal drugs are used to stop hair loss. These drugs help in solving the problem of baldness experienced by most men. They do this by increasing the flow of blood in the follicles and limiting the production of DHT in the body. Nevertheless, these drugs come with certain side effects on the body, which is why it is recommended to consult your doctor. While women may not experience total baldness, they still have issues with their hair such as hair loss, thinning, flaking, and itchy scalp. There are various ways we can save our hair without resorting to the use of shampoos. Interestingly, regrowing your hair naturally is something possible using natural remedies that are effective and safe. Not only does it prevent hair loss, but it also stops hair fall. While there are drugs such as Finasteride and minoxidil for regrowing your hair, they are both subpar choices if you really love your hair. It is better to address the main reason for the hair loss rather than treating the symptoms. Managing your stress level is very important. Telogen effluvium is a stress-related hair loss, which usually takes place within 6 months of severe stress. Fortunately, this kind of hair loss is reversible by claiming your nervous system. Stress management is an important skill that must be incorporated into your daily habits. Ensure you meditate, increase sleeping time, take adaptogens, and work out. Eggs contain high selenium, zinc, iodine, phosphorus, sulfur, and protein, which help in improving hair growth. This mixture shouldn’t cost you much, but the aftereffect on your hair is lovely. 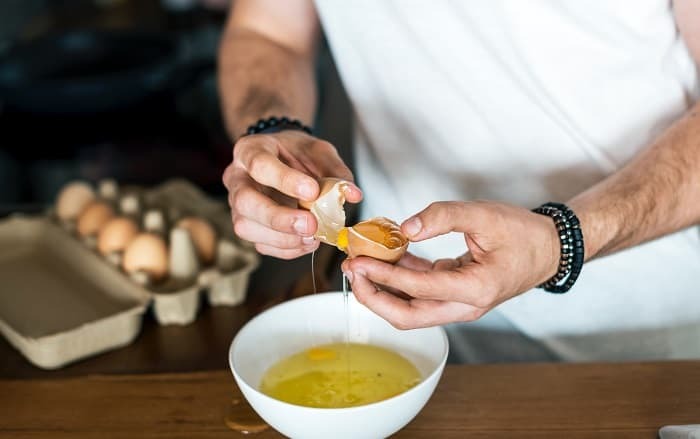 Take an egg white and pour into a bowl; add a teaspoon of honey and olive oil and mix properly. After this, apply the mixture to the hair from the roots to the tip. Allow it to dry before washing off with a mild shampoo. This will do the magic and help your hair will to grow naturally. Not many know the effectiveness of coconut milk in growing their hair naturally. It contains essential protein and fat, which is good for hair regrowth while preventing hair loss. Grate coconut and simmer it in a pan for at least five minutes. Strain it and allow it to cool. Furthermore, take a tablespoon of fenugreek seeds and crushed black pepper to the milk. Finally, apply the mixture on the scalp and hair. Allow it to stay for 20 minutes before washing off using a mild shampoo. Green tea contains high antioxidant properties, which makes it an excellent agent for preventing hair loss and promoting hair growth. Soak three teabags of green tea in a cup of hot water depending on how long your hair is. Allow it to cool before pouring on your scalp and hair. While pouring it on your hair and scalp, massage your head gently throughout the process. After one hour, rinse with cold water. If you try using castor oil, you may even consider ditching your coconut oil. Castor oil contains antifungal and antibacterial properties, which help fight against scalp infections that stop your hair from growing. Furthermore, castor oil contains vitamin E, omega-6 fatty acids, protein, and other essential nutrients, which have the ability to penetrate your parched strands and seal your hair shaft to hold moisture. Apply the oil on the scalp while massaging the head up to the ends of your strands. Cover your hair with a shower cap and use a blow dryer for 15 minutes. After this, you can take a trip to the shower and use either a conditioner or shampoo. It contains a high content of sulfur, which boosts collagen production in the tissues while promoting the regrowth of the hair. It has been an effective natural method of regrowing one’s hair. 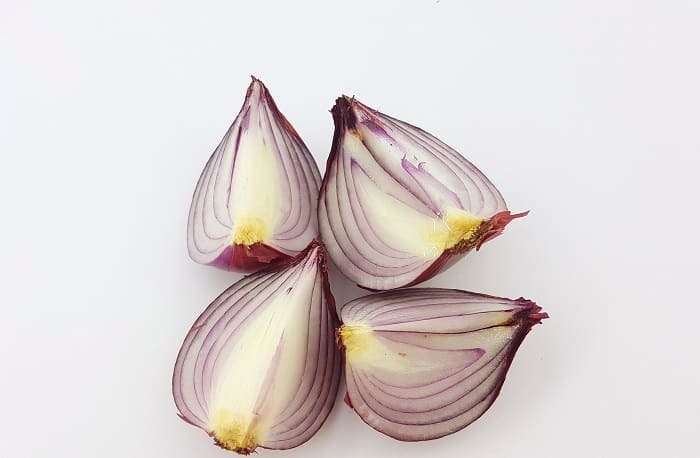 Take two red onions and chop into pieces. Blend the pieces and squeeze the juice out from them. Furthermore, apply the juice on your scalp using a cotton ball and allow it to stay for 15 minutes. Then rinse with water and a mild shampoo. You can use this method at least once a week until you have seen the desired results. Vinegar helps cleanse the scalp while maintaining the pH balance of the hair, which speed up hair growth. Dilute 75ml of vinegar in a liter of water and apply the solution on your hair before washing. It doesn’t only boost hair growth; it also adds additional shine to your hair. Apple Cider Vinegar is among the effective natural solutions for hair regrowth. Remarkably, an average adult loses about 50 to 100 hairs per day. 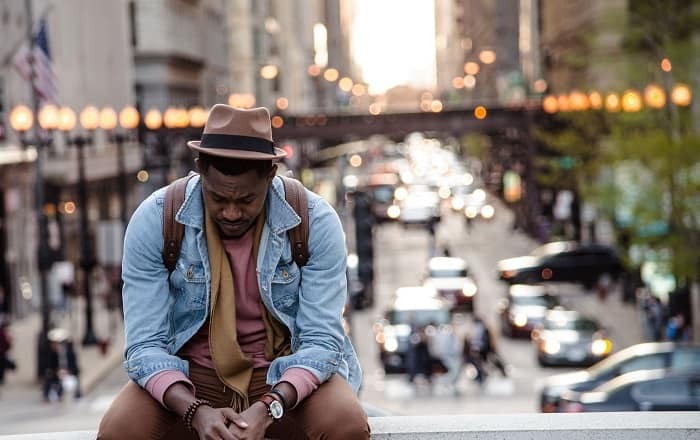 Furthermore, about 40 percent of men within the age of 35 lose their hair whereas 60 percent of those within the age of 60 experience the same issue. Although most hair loss is mostly associated with men, nowadays, the women aren’t left out. Statistics have shown that about 21 million women suffer from the thinning of their hair. You will experience hair loss when the rate at which your hair regrows is slowed down or stops. To help you solve your hair loss problem and regrow your hair naturally, we have assembled some of the best DHT Blocker shampoos. It is time to get your hair back naturally with a healthy look. 1. 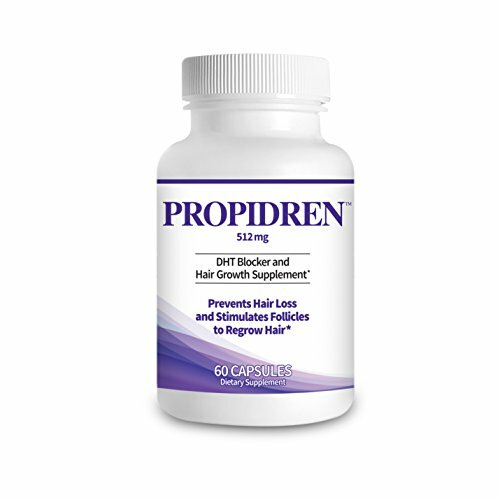 Propidren by HairGenics – DHT Blocker with Saw Palmetto To Prevent Hair Loss and Stimulate Hair Follicles to Stop Hair Loss and Regrow Hair. This shampoo comes with an oral supplement, serum for the scalp, and a conditioner. 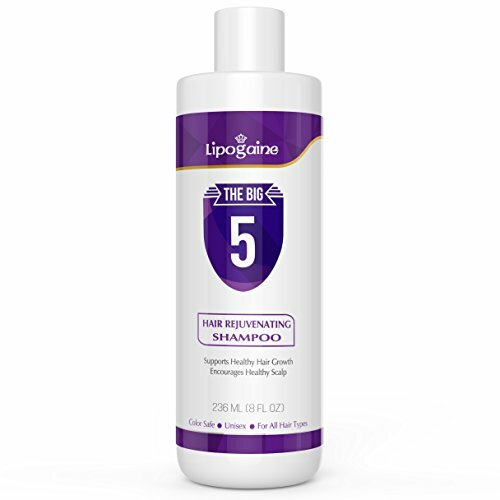 It is targeted at stopping hair loss while encouraging the growth of dense, lush locks. The shampoo contains DHT-blocker Saw Palmetto and beta-sitosterol in addition with other organic ingredients like nettle extract and green tea extract. In as much as it contains nettle and green tea that help moisture the hair, the biotin content in it helps strengthen existing hair. Furthermore, Propidren by HairGenics Hair Growth Shampoo promotes the growth of stronger strands and is suitable for both men and women. Interestingly, the product comes with a 100% money-back guarantee. 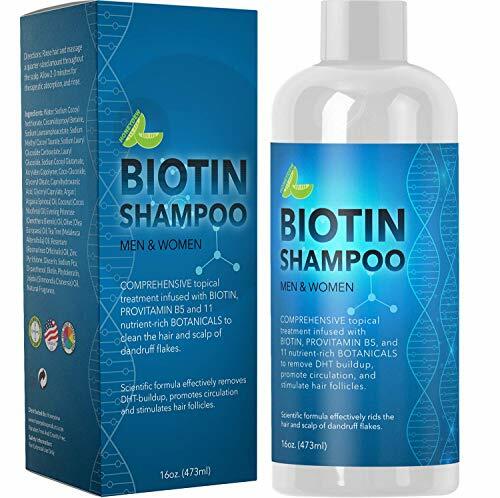 Unlike other shampoos for blocking DHT, the Biotin shampoo focuses on Vitamin H (Biotic). The shampoo strengthens the keratin, which makes up the hair strand. Additionally, it removes DHT from the hair scalp using natural extracts of mulberry root and rosemary. The shampoo is free from sulfates or parabens and doesn’t cause any irritation to the skin or hair. Not only does it block DHT, it is also effective in dealing with dandruff because of its zinc content. Moreover, the product comes with a full refund if you are not convinced about its effectiveness. 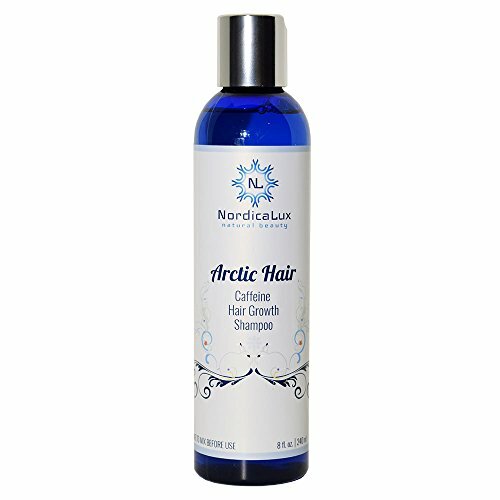 If you want to grow your hair by speeding up the process, you may consider using Arctic Hair shampoo. It uses vitamin B, an oxygen complex, and potassium to nourish the strands and scalp. Aside these, there are other important ingredients that make it active. The first is ancient amber extracts and geothermal kelp. Secondly is tea tree, which is a natural anti-fungal and anti-inflammatory ingredient. Finally, the witch hazel is a moisturizing astringent, which helps open up the hair follicles. 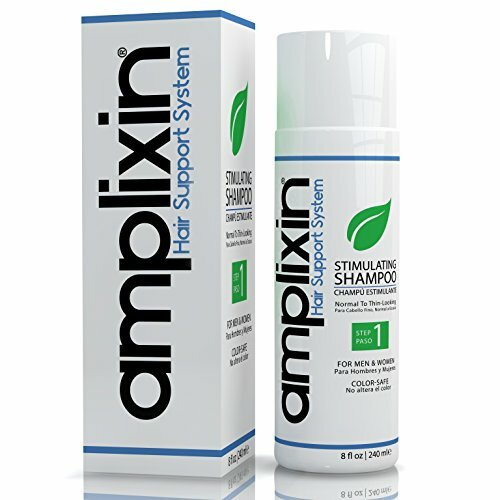 Amplixin is one name highly recognized in solving most hair problems. This particular shampoo treats receding hairlines because it uses a registered technology called AmpliGro. This is a combination of red clover, caffeine, and biomimetic peptides. It stops DHT while spreading nutrients to the root of the hair. Aside from this, it doesn’t contain harmful chemicals such as sulfate and is suitable for everyone in the family. The last on our list is this unique shampoo that combines the power of nettle, saw palmetto, Argan oil, castor oil, caffeine, and biotin to deal with major hair loss problems. It contains certain things that other shampoos we have mentioned here don’t have. For instance, it has ylang-ylang, which is a traditional remedy used for hair loss. Actually, the label has an inscription that reads as if it is an herbalist’s shopping list of cures to have healthy and shiny hair. Interestingly, it comes with a 100 percent money-back guarantee should it not work as you expected it. In time past, experiencing hair loss was a significant issue that people found disturbing. However, times have changed because science has made it easier to improve your hair loss. Because of this, it is not hard to find shampoos with DHT blockers that help to regrow your hair naturally. Most formulas don’t have harsh chemicals in them and use natural remedies to promote healthy hair growth. However, these shampoos are expensive and have certain side effects. You can regrow your hair naturally without having to spend much. We have enlisted some important natural methods of regrowing your hair without any side effect on your scalp or hair. Next articleWhat Shampoo Is Good For Greasy Hair?